THE IVORY OAK IS JUST MINUTES AWAY FROM SO MANY DIFFERENT EXCURSIONS THROUGHOUT THE BEAUTIFUL TOWN OF WIMBERELY, TEXAS! WE ARE SO PROUD TO BE A PART OF THIS TOWN AND ALL THE THINGS IT HAS TO OFFER. WE’VE CREATED A GUIDE OF SORTS FOR SOME FUN WEDDING WEEKEND ACTIVITIES YOUR GUESTS MIGHT ENJOY! WHETHER YOU AND YOUR GUESTS ARE LOOKING FOR A CALM NIGHT SIPPING SOMETHING YUMMY OR A DAY FULL OF EXPLORING, YOUR GUESTS WILL FALL IN LOVE WITH WIMBERLEY'S CHARM, JUST AS MUCH AS WE DID! THE LEANING PAIR IS NESTLED ON A TREE COVERED HILLSIDE, WITH JUST A SHORT WALK DOWN TO THE BEAUTIFUL CYPRESS CREEK. WE ALWAYS RECOMMEND HAVING LUNCH OR DINNER HERE! THE WOODEN SPOON FROZEN YOGURT AND SANDWICH SHOP ALSO OVERLOOKS CYPRESS CREEK. FROM HERE YOU CAN WALK TO A HANDFUL OF BOUTIQUES AND SHOPS, EVEN SAMPLE SOME GREAT HILL COUNTRY WINE AT THE HILL COUNTY WINE SHOP. INO'Z IS YOUR GO TO RESTAURANT FOR CASUAL, ALL AMERICAN FOOD WITH A FEW TWISTS. OPEN 7 DAYS A WEEK FOR LUNCH AND DINNER, THEY CATER TO EVERYONE. WHETHER YOU’RE LOOKING FOR A RELAXING OUTDOOR ENVIRONMENT ON THEIR PATIO, A VIEW OF CYPRESS CREEK OM THEIR INDOOR SUNROOM OR MORE OF A SPORTS VIBE IN THEIR MAIN DINING AREA WITH 4 TVS AND BAR. THEY’RE PET IENDLY, TOO! 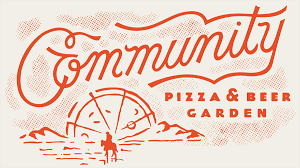 COLD BEER, FULL BAR AND HOUSE MADE PIZZA TO ENJOY! 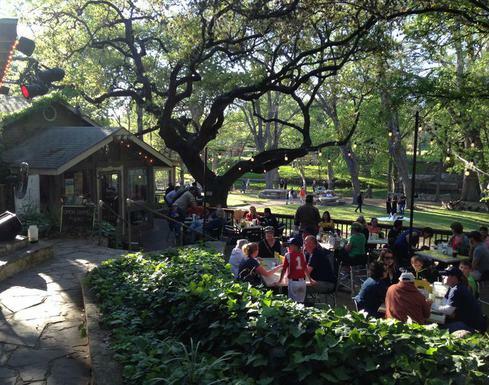 WIMBERLEY CAFE IS LOCATED ON THE SQUARE IN THE HEART OF WIMBERLEY, TEXAS. SERVING BREAKFAST, LUNCH AND DINNER DAILY, YOU WILL FIND THEIR FAMOUS BREAKFAST ITEMS AND DELICIOUS LUNCH AND DINNER! LUNCH OR DINNER CAN THEN BE FOLLOWED BY SHOPPING ON THE TOWN SQUARE! ONE OF OUR FAVORITE BOUTIQUES TO VISIT IS ANNIE JAMES, WHERE YOU'LL FIND A VARIETY OF GIFTS AND JEWELRY AND A LARGE SELECTION OF THE LATEST FASHIONS. WIMBERLEY IS LOCATED IN CENTRAL HAYS COUNTY IN THE HEART OF THE TEXAS HILL COUNTRY, BETWEEN AUSTIN AND SAN ANTONIO AND ONLY 16 MILES FROM SAN MARCOS. THE CENTER OF WIMBERLEY IS SITUATED AT THE CONFLUENCE OF CYPRESS CREEK AND THE BLANCO RIVER, ROUGHLY 1,000 FEET ABOVE SEA LEVEL ON THE EDWARDS PLATEAU. WIMBERLEY MARKET DAYS IS A MAJOR ATTRACTION, TAKING PLACE ON THE FIRST SATURDAY OF EVERY MONTH. HUNDREDS OF VENDORS FROM ALL OVER TEXAS TRAVEL TO THE SMALL TOWN TO SELL A WIDE VARIETY OF ITEMS. IT’S DEFINITELY SOMETHING YOUR GUESTS WOULD ENJOY TO SEE! 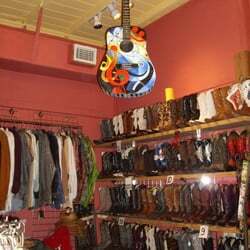 WALL STREET WESTERN IS A ONE OF A KIND BOUTIQUE IS TRULY A FIND WITH MUSEUM PIECES, NEW & VINTAGE CLOTHING AND BOOTS! THIS UNIQUE SHOP IS A VISIONARY FOR THE EYES AND ONE YOU DO NOT WANT TO MISS! WIMBERLEY VALLEY WINERY IS CONVENIENTLY LOCATED IN THE BEAUTIFUL TEXAS HILL COUNTRY BETWEEN AUSTIN AND SAN ANTONIO. THEY HAVE BEEN PRODUCING FINE VARIETALS, FRUIT WINES AND SEASONAL HOLIDAY WINES SINCE 1983. COME VISIT THEIR TASTING ROOM AND COZY UP BY THE FIREPLACE WITH A GLASS WINE OR ENJOY A PICNIC IN THE SHADY OAK GROVE. RIGHT OUTSIDE OF TOWN ARE SOME WONDERFUL WINERIES AND A BRAND NEW BEER AND WINE GARDEN, THE SHADY LLAMA. YOUR GUESTS WILL LOVE A RELAXING EVENING WATCHING THE SUNSET LISTENING TO LIVE MUSIC! LOS OLIVOS MARKET IS A WINE, BEER AND SPECIALTY FOOD SHOP. THEIR FOCUS IS LOCAL TEXAS PRODUCTS. THEY OFFER DAILY WINE TASTINGS, BEER FLIGHTS, CHARCUTERIE, CHEESE BOARDS AND MUCH MORE! AT SIP! ON THE SQUARE THEY BELIEVE LIFE IS TOO SHORT FOR BAD COFFEE! SIP OPENED IN NOVEMBER OF 2010 AND SINCE THEN THEY HAVE BEEN WORKING HARD TO SERVE UP AS GOOD A CUP OF COFFEE AS YOU CAN GET ANYWHERE! JACOB'S WELL IS AN ARTESIAN SPRING AND IS THE HEADWATERS OF CYPRESS CREEK! YEAR ROUND, THE WATER TEMPERATURE IS A CONSTANT 68 DEGREES, WHICH IS PERFECT FOR A QUICK DIP! HOWEVER, SWIMMING IS SEASONALLY PERMITTED; MEMORIAL DAY THROUGH LABOR DAY. LIMESTONE CLIFFS AND NATIVE VEGETATION SURROUND THE SPRING WITH ENCHANTING BEAUTY FOR VISITORS OF ALL AGES. 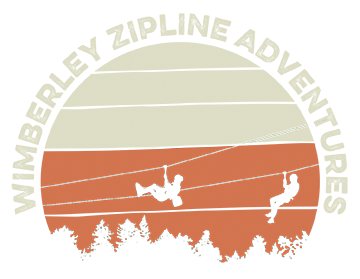 WIMBERLEY ZIPLINE ADVENDURES GIVES YOU A BIRD’S EYE VIEW OF THE SURROUNDING HILLS, MEADOWS AND CANYONS. THE COURSE CONSISTS OF TEN SEPARATE ZIPLINES. EACH LINE RANGES IN LENGTH FROM 150 FEET TO 900 FEET FOR A MILE OF THRILLING ZIPLINE FUN. THE ZIPLINES ARE LOCATED BETWEEN TWO HILLSIDES STRETCHING OUT ABOVE THE VALLEY AT A MAXIMUM HEIGHT OF MORE THAN 100 FEET. YOU WILL FEEL LIKE YOU'RE FLYING AS YOU ZOOM DOWN THE CABLE AT SPEEDS OVER 30 MILES PER HOUR. NEED A PLACE TO STAY? CLICK HERE TO SEE OUR TOP RECOMMENDATIONS!